However the biggest news of the year was the unveiling of Big Idaho® Potato 2.0. Weighing in at 4 tons, the fiberglass potato is just as impressive as the original, but with a few subtle differences. The potato is still 28 feet long and 11.5 feet high, but it’s a little trimmer in the middle (10 feet wide), and two tons lighter so it can travel to more places. The original potato, which was only supposed to last one year, became too road worn to travel and now resides in its home state of Idaho. 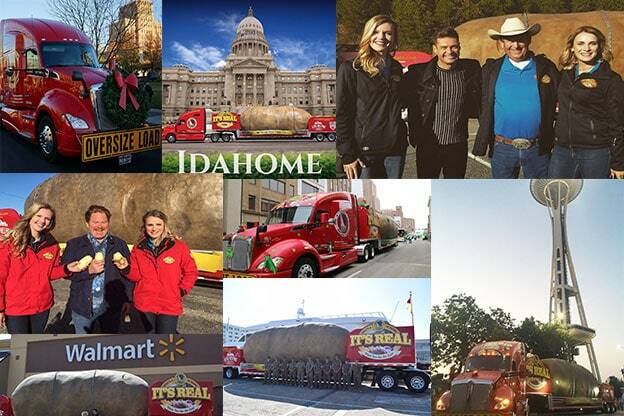 The 2019 Big Idaho® Potato Truck Tour schedule will be available in early February 2019 at www.bigidahopotato.com.